Before the trip we said that we would give a bit of feedback on the gear we used. We bought the cheapest gear we could possibly find and used whatever we already had. For pannniers we went with the 48L Oxford 1st Time Soft Panniers. R899 for a set. 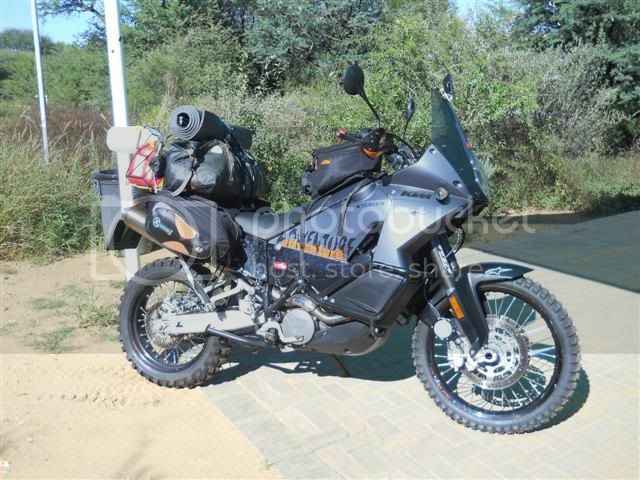 Now first of all, these panniers were designed for sportsbikes and NOT for adventure touring, but we overloaded them, packed them beyond capacity and crashed with them (many times). And they took the punishment pretty well! Some of the stitching did come lose and one pannier did melt against an exhaust, but they held up very well. If you want inexpensive soft panniers - I would definitly recommend these. We also used the ATG 50L Dry Bags. Now these are not cheap products, but they are not cheaply made. R700(I think). These bags are amazing! They were just the right size to fit everything in and still fit nicely on the bike. They also come with 4 very handy ajustable straps to strap down your tent and matress or whatever. They are also truly dust proof. No matter how full of dust the rest of the gear was - the stuff inside the bags were always clean. The plastic buckle clips on my bag broke but still worked fine, but I'm sure this was due to all the times the bike fell over. These bags are indestructable! Highly recommended. Rokstraps. 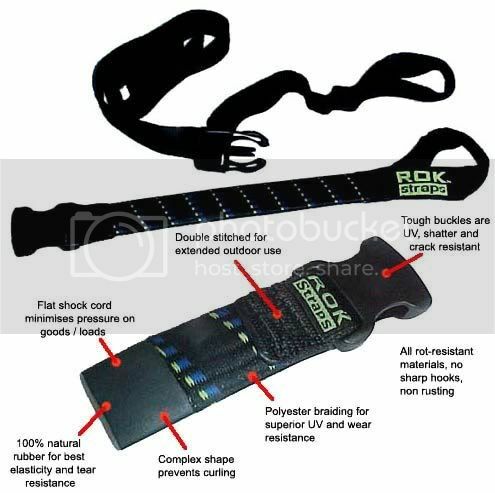 What can I say about the Rokstraps? Faaaarking awesome!! This is probably the best invention man has ever made. Sure, an IPad is handy and the moon landing was cool, but this - this tops everything! They seem to be expensive, but once you use these straps you will know why they are worth every cent. Get the "Looped End" ones. A MUST on any trip. 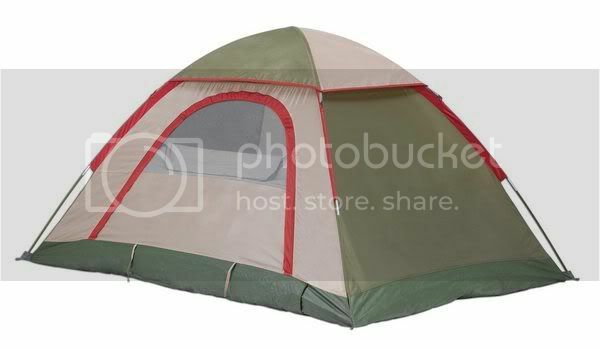 Tents. We used the Campmaster Bushwacker Dome tent. R199 from Makro. They are light and small when packed and sleeps comfortably with your dry bag, boots and jacket in the tent. They are not very waterproof though, so check the weather channel before you head off.... Cheap and works great - highly recommended. Tyres. 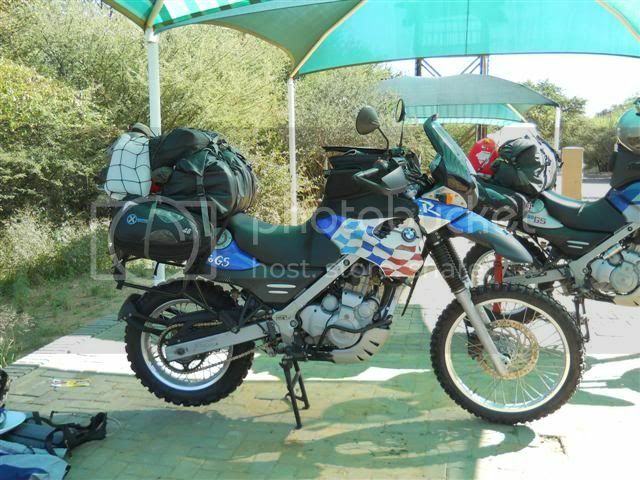 On the Dakars we used Michelin T63's and the 990 was on Karoo's. The T63's were the cheapest tyres we could find (about a R1000 for a set) and we did 3000km on the trip. They still looked very good and could probably do another 3000km. The Karoo's on the 990 was a different story. 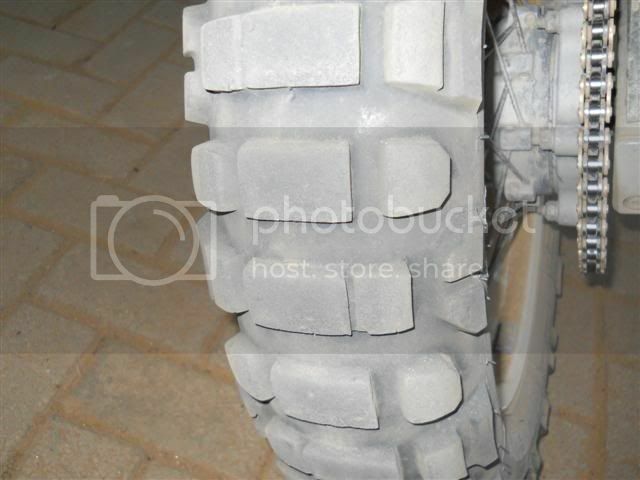 The 990 thrashed it's rear tyre in about 1800km! 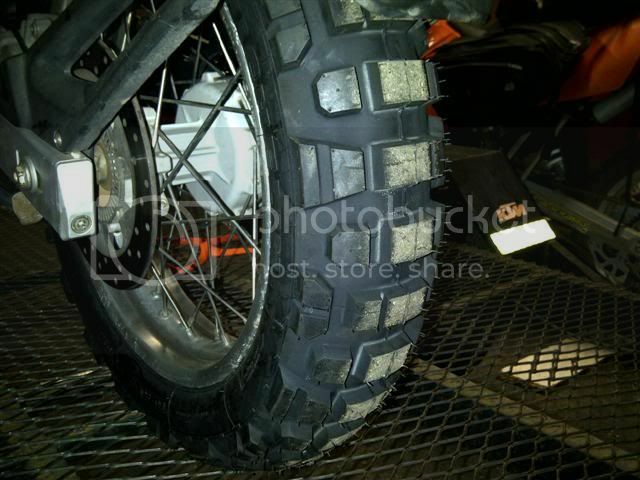 But I don't think its a bad tyre - it's the 990's power that makes it heavy on any tyre. 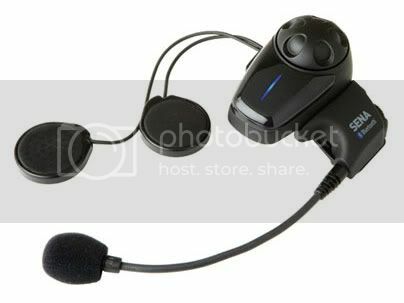 Sena SMH10 Bluetooth Comms. R1300 per unit (had someone bring it from USA), but in SA they are about R1800 per unit. I've used the Supertooth before and the Sena is much better. The sound quality is brilliant and the battery life even better. I think we only put them on charge after a week on the trip. They just kept on working and working. Being able to share your thoughts and chat with your buddies while riding is priceless. It enhances the whole experience so much. This is a very good investment for any biker. Yes, right bike for the right terrain seems a recent lesson I'm also familiar with. Great RR! Makes me wanna get out there again, now! If you don't have a limp like a township dog - you're not doing it right. Go back & try again. It is time for a new adventure.............will keep everyone posted!!!! Just read the RR and I'm suitably impressed AND inspired! Have you hugged your motorcycle today? Liam once briefly told me about the trip at a braai. Never knew it was this epic! Dankie vir die great RR. Ek is gelukkig / bevoorreg om in Nam te bly en het al 3 bikes sodat ek op elke soort trip kan saam gaan. Ons was nou die dag met die 650's ( dit is nou XR650's , XT 660's en een 690 KTM) Spreetshoogte pas en Gamsbergpas uit. Befok. Lekker grondpaaie, party moer sanderig ander weer sinkplaat maar dit bly flippen lekker.